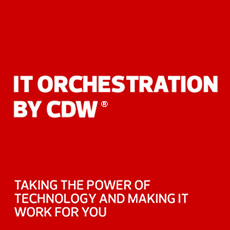 CDW's IT consulting and professional services turn your technology goals into organizational wins. Cloud applications reduce your dependence on high-maintenance hardware and help you mitigate risk by ensuring business continuity, fast disaster recovery and regulation compliance. Our IT consulting team can assess your needs and help you select the right SaaS or IaaS apps and cloud solutions for your organization.